What training & experience do we have? As a firm, we have over 100 years of experience. The three principals of the firm have been providing financial advice for an average of 21 years. Charles and Steve have also been branch managers at two of the largest broker-dealers and Matt is a Certified Financial Planner®. We provide a number of services, but chief among them are asset management, financial planning, retirement planning and we can provide insurance products, as needed. We are a fee-based firm. Depending on your needs, we may charge a flat fee or a fee, as a percentage of assets under management. This helps us minimize conflicts of interest and removes a major barrier to our relationship with you. When we make recommendations, they are always with you and your long-term goals in mind. This also removes the question of whether we’re making a recommendation purely for the purpose of generating commissions. There are a few instances where our clients pay a commission on a per trade basis. These instances are reserved for a few legacy relationships. Do you have any choices when it comes to how we are compensated? Yes. This choice is generally dictated by your investment needs. Please contact us for specifics. Our investment philosophy is outlined in our Investment Process & Philosophy. A free copy will be provided to individuals that choose to engage our firm, but it is also available for purchase on Amazon and available on the Kindle. This process is a framework for our relationship and while it doesn’t represent a ‘one-size fits all’ solution it will be a guide that’s used to help us develop a Investment Process & Philosophy for you that’s based on your needs. How frequently will you get statements? Based on the activity in your account (dividends, interest, transactions, etc. ), you will most likely receive monthly statements. At minimum, you will receive quarterly statements for each of your accounts. How much contact will you receive? You will receive regular written communication from us and most clients will receive a quarterly account review. Some will receive an annual or semi-annual review; the amount of contact you receive will be based on your preferences first and second, on the type of relationship that you establish with us. The latter will be mutually determined after we complete an assessment of your current situation and make recommendations on the best way to proceed. Will you be working with an individual or a team? 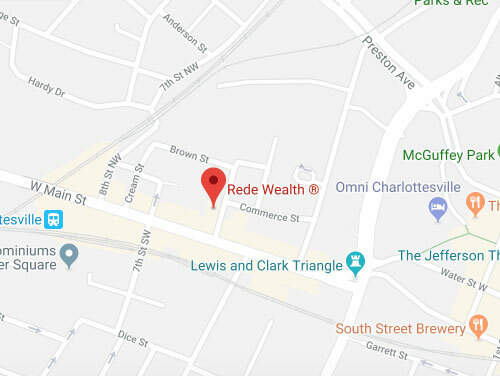 Rede Wealth operates as a team and each individual on our team will perform specific tasks; whether it be financial planning, asset management, bill pay, new account paperwork or account reviews. We are focused on providing a high level of service in a complicated industry. No one can be an expert at everything, but as a team we can make sure that you have the answers and attention that you deserve. What makes our client experience unique? Quite simply, our experience is unique because its based on you. You’re unique and you’re our sole focus. That means that every client experience is different, but that doesn’t mean that we can’t bring our experience to bear; our Investment Process & Philosophy (IPP) reflects that experience and what we’ve determined is the best approach to making sure that we cover all the bases and ask the right questions to get to the things that matter to you. By the time we walk you through our IPP, we’ll be able to cultivate a strategy that’s unique and specific to you. It should be noted that our IPP also makes sure that we’re on the same page. We’ve found that the majority of investors become dissatisfied with their advisor because the advisor has failed to thoroughly explain and set appropriate expectations with respect to their investment process and the investments they recommend. Our IPP does a good job of addressing the aforementioned.